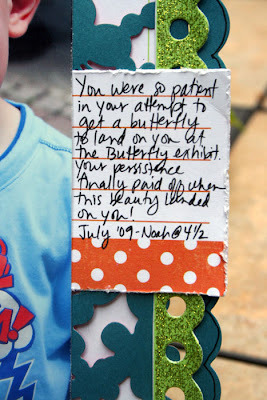 Creating my everyday: CMK Blog Hop! Well, I promised some photos from the butterfly exhibit, so how about I just show you the best one's within a layout, lol? 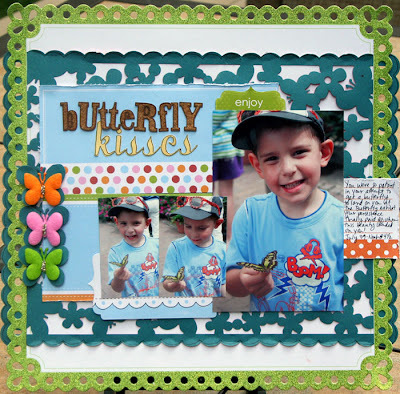 The brand new August kit from Create My Keepsake could not have been more perfect for my butterfly exhibit photos! There is lots of yummy new Creative Cafe goodies, including this glittered die-cut edged paper. Love it! Busy busy week here! We are gearing up to go on a little trip soon, and there is still lots to do! I hope everyone is enjoying their week so far. This summer feels like it's flying by now! adorable pics...he is so cute with those sunglasses...love it! awesome awesome pg. as always ...love the colors your have put together...really compliments those pics! tfs! have a great day! So great! Love the layers! Sorry it's been a while since I've been by your blog, hope you are having a great summer! super cute Staci! love the butterflies! Ohh that glittered edged paper is pretty awesome! Great page, and cute, cute pix! fantastic take using this kit. It's so fantastic to see what everyone has done with the selections for this kit! Holy Cow girl - was this kit made for your photos or what!!! Fabulous design and details! Adorable!! 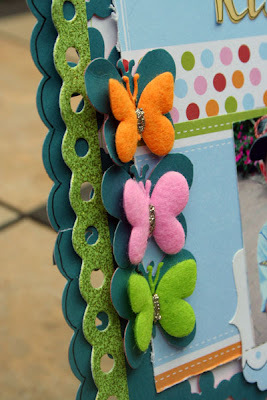 I love how you used the butterflies for your theme and how you jazzed them up as well! This is a really cute layout and you rocked the kit! Hi there lady! It's been forever again hasn't it? Love your layout! Another fabulous LO! Great photos Staci! Awesome as usual! I saw your gorgeous FP layouts at CHA and they looked amazing! Wished I could have seen you too! One of these days!